Indianapolis is the capital city and the economic and government center of Indiana. And IUPUI is located in the center of it all. Sure—Indy is great for internships (who doesn’t want to walk to their internship between classes? ), and developing some great career connections, but it’s also a place where there’s always something to do. Dine at dusk on a patio where tonight’s entrée is made from local, farm-fresh ingredients. Looking for lunch? Shapiro’s Kosher-style Delicatessen serves a mean Reuben. And make sure you stop by the International Marketplace where over 70 languages are spoken and you’ll find tasty fare from around the world. Find global premiers of a never-before-seen art exhibit at the Indianapolis Museum of Art. Or attend an outdoor concert at the Farm Bureau Insurance Lawn at White River State Park. Interested in theater and Broadway? 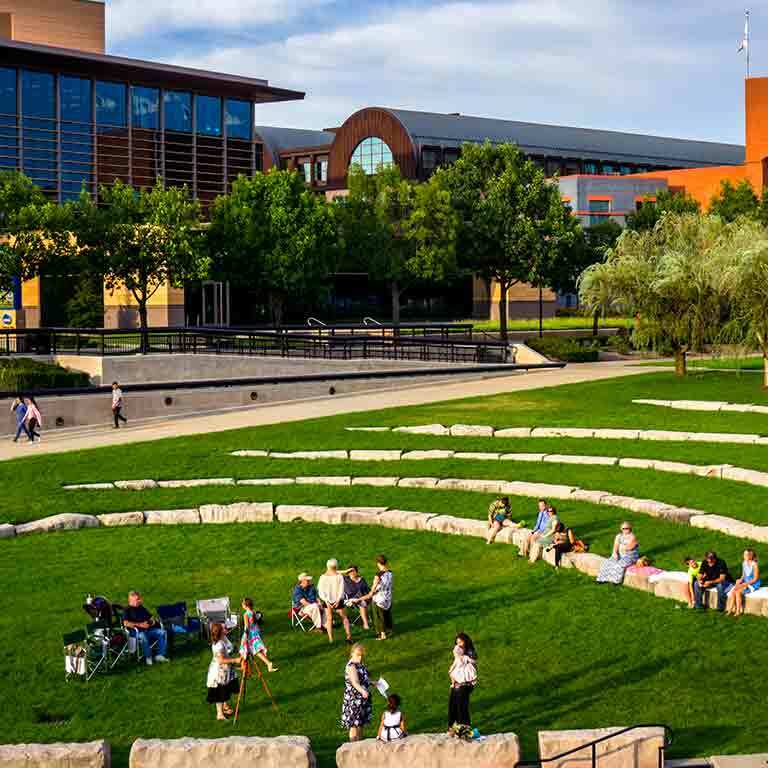 Then you’ll want to spend some time in Mass Ave, which features five performing arts theatres. 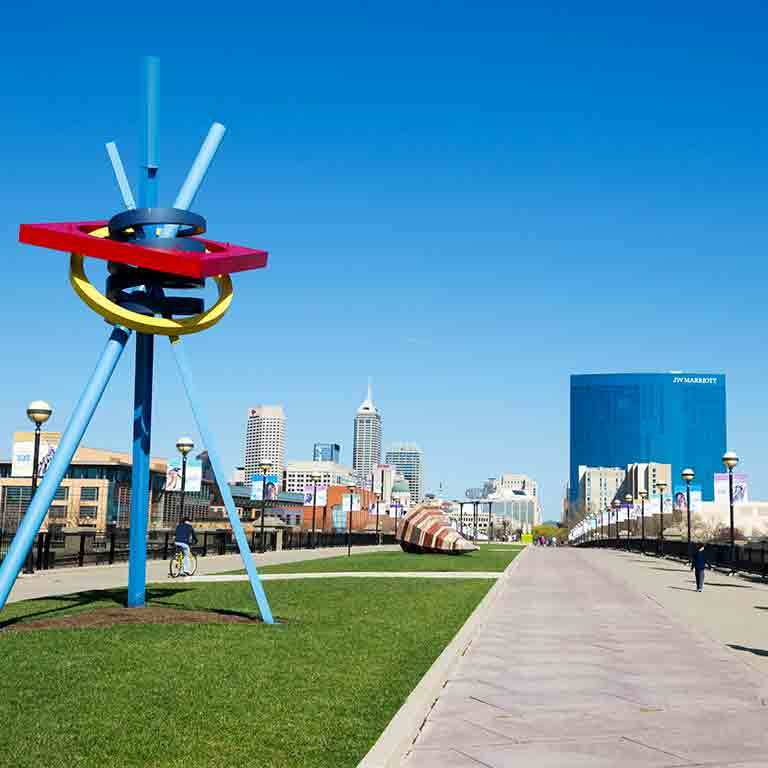 Whether you’re travelling by foot, bicycle, bus, or car, you’ll always have access to one of Indianapolis’s six designated Cultural Districts—where you’ll encounter thriving pockets of international and local talent, music, and art. 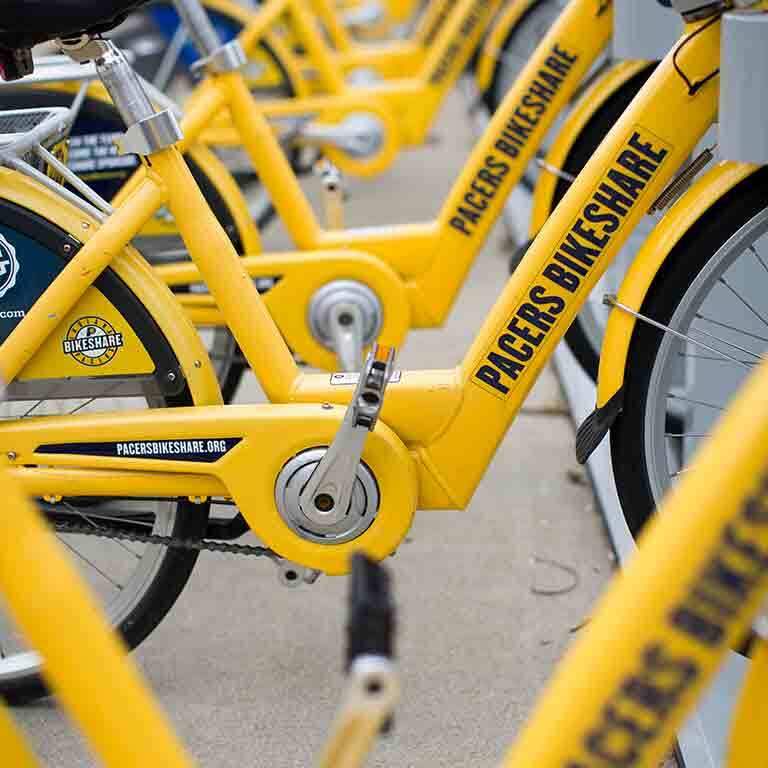 Cruise down the Cultural Trail or ride around campus by renting a bike from the Indiana Pacers Bikeshare. 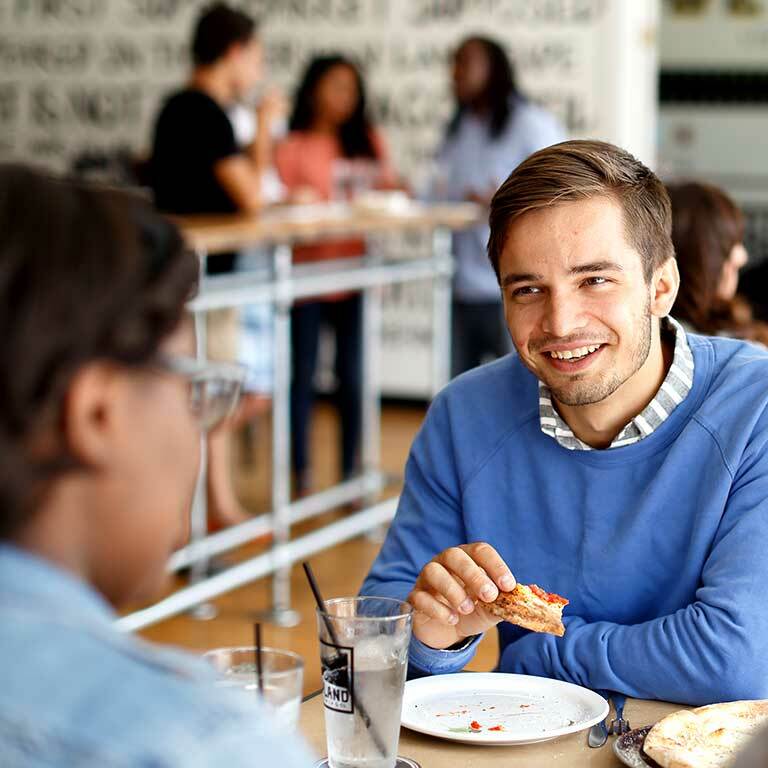 Or reserve a Zipcar and bring your friends along for the adventure! Stop by the local comedy club after spending the day at Fountain Square, where boutique shops and local galleries line the streets. Not the shopping type? Spend an outing on the water with your friends at the local marina, or take a walk through White River State Park—America’s only urban state park.